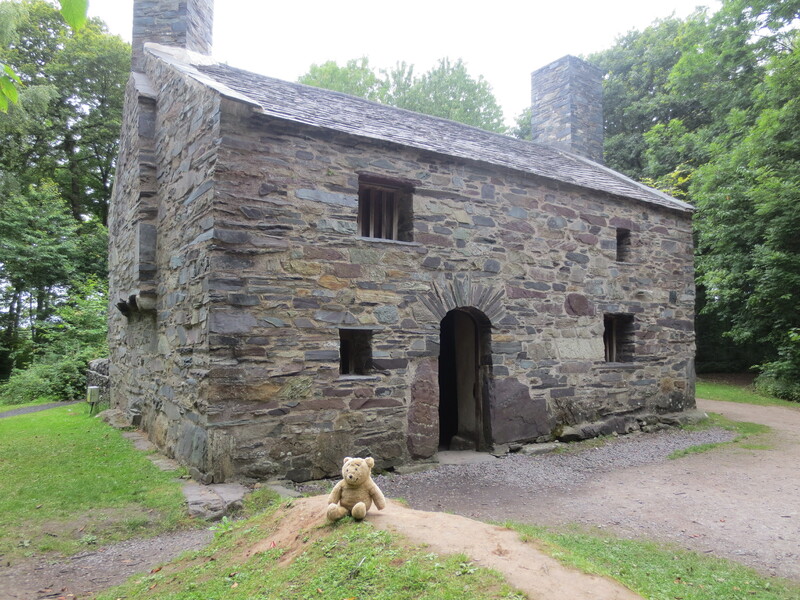 I have spent the weekend in Wales, some of it in a hotel room while my humans were of partying which was tad mundane, but I also got to spend nearly an afternoon visiting a very interesting museum. It wasn’t a boring ‘things in glass cases’ sort of museum, but a museum of really old buildings, which had been moved from their original sites to the safety of the St Fagans National History Museum. There was quite a lot of walking to do but fortunately I got carried around in the spotty bag (as you probably know my little legs tend to struggle with long walks). 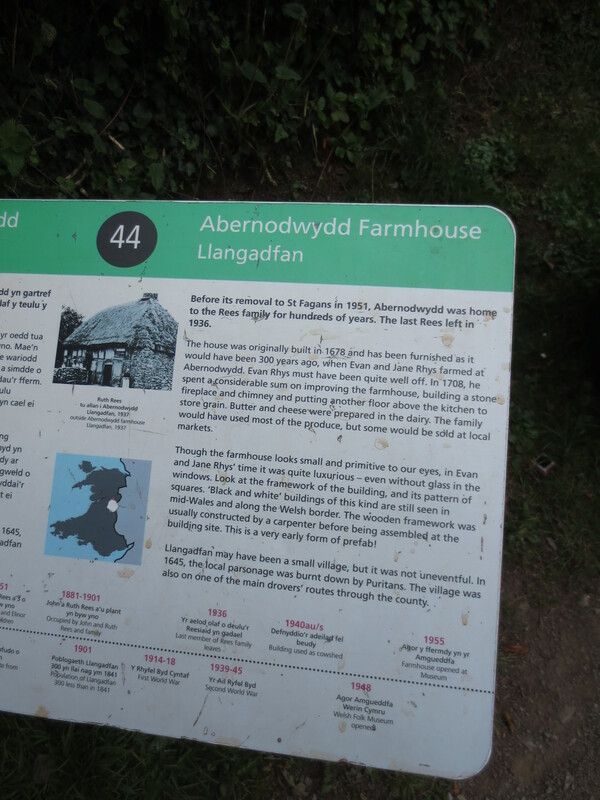 The first cottage we came across was the Abernodwydd Farmhouse and was built in 1678. The humans that lived there shared it with the farm animals in the winter. I was able to have a look inside too (most of the buildings are open). Some of the the cottages had open fires roaring away, I stayed out of those as my fur is enough to keep me warm, and it is summer here. 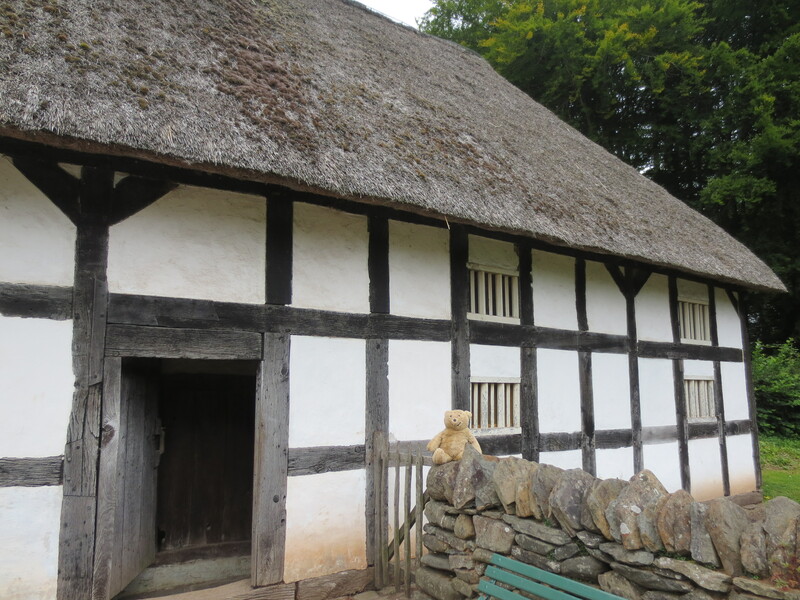 This is Y Garreg Fawr Farmhouse which was built in 1544. 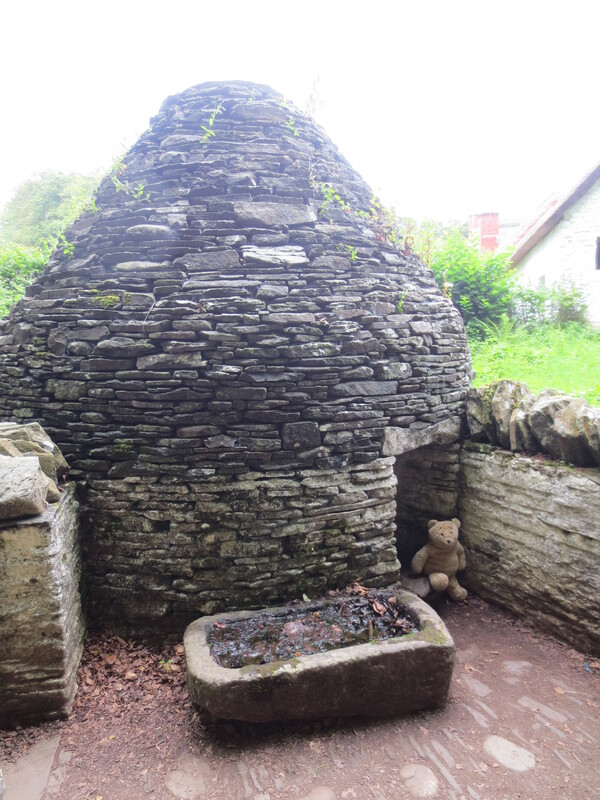 It was built to last a very long time as the walls were very very thick and it was much smaller inside than out. 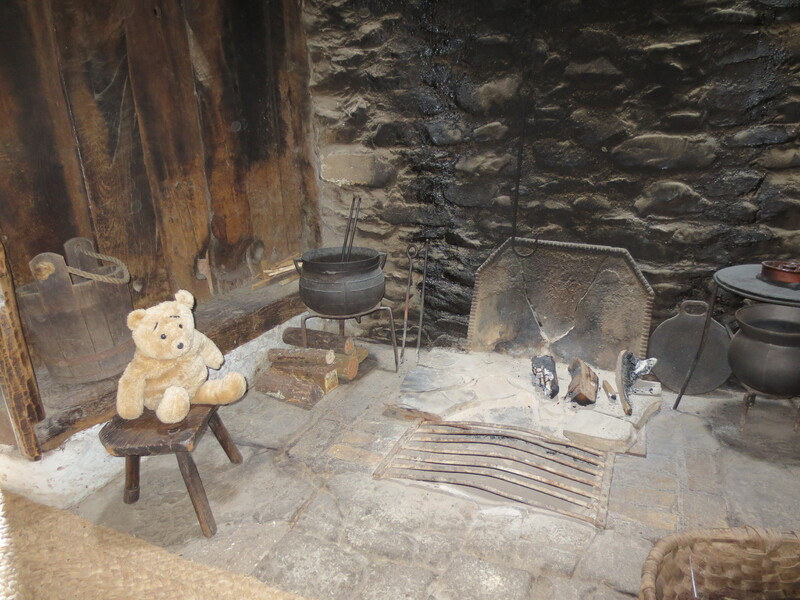 I didn’t go in this one as it was too hot in there as a fire was burning in the hearth. The museum is set amongst woods and farmland so it is good place for wild animals. 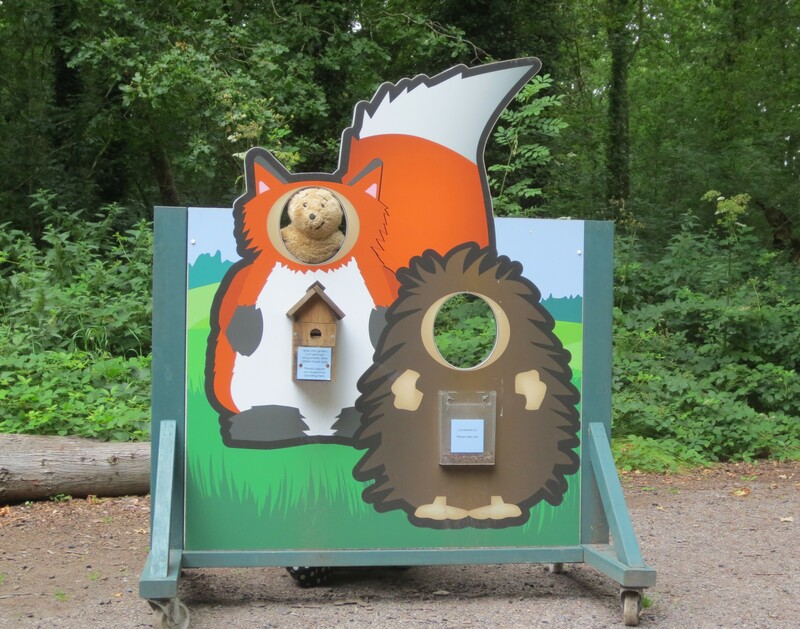 I had a go at pretending to be a fox…. The Tannery was a thought provoking place. 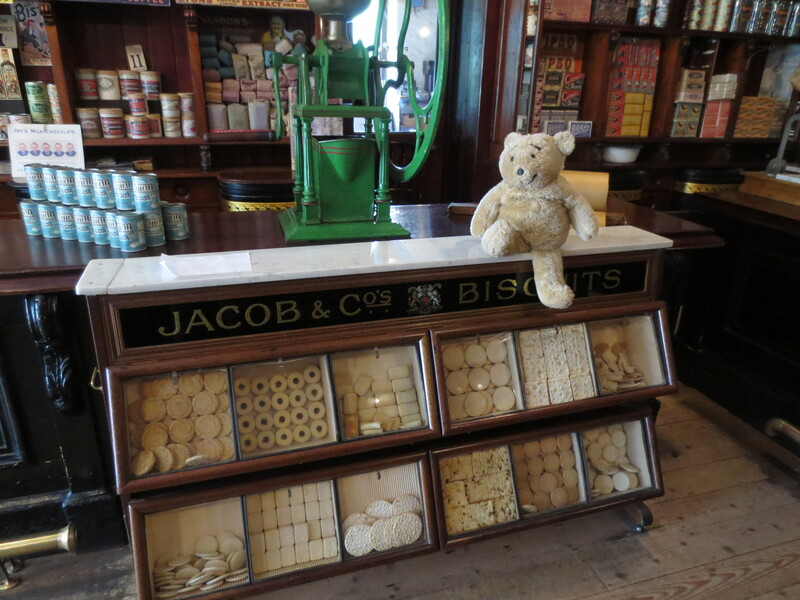 People used to work here with animal skins and used animal wee and poo in the process of making leather. It must have been a really horrible place for humans to work in. It was closed about 70 years ago and moved to the museum about 10 years before I was made. 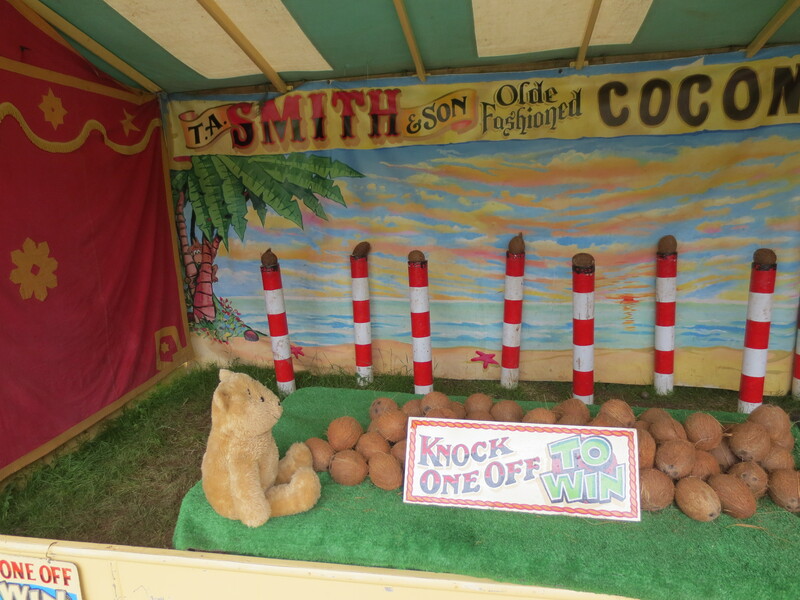 We came across a fairground, where I tried to win a coconut by throwing a ball at a coconut – the ball did hit the coconut but I think as I am only a small bear I don’t have much force in my throw. Bigger bears might be better at winning coconuts. A shame really as Karen likes coconut and I would like to have won one for her. 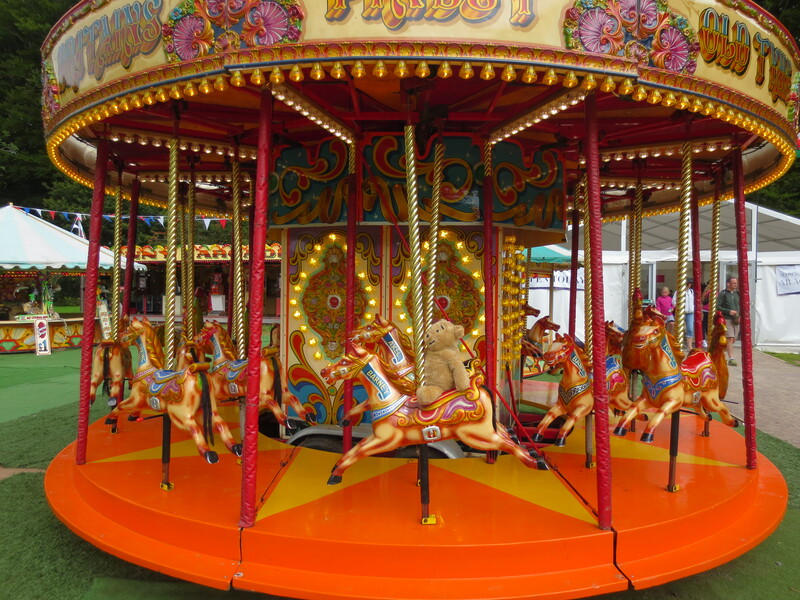 Afterwards I had a ride on a horse that just went round and round and round…. 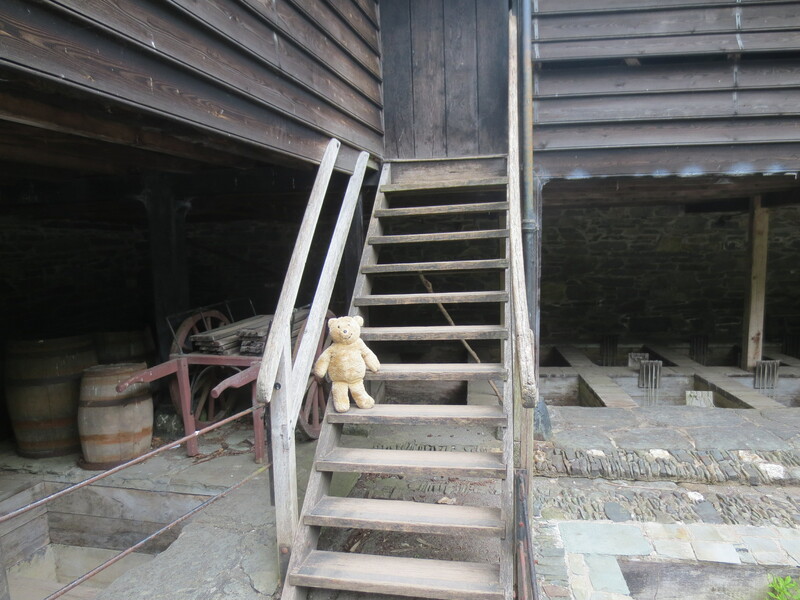 I was very interested in The Corn Mill. As you may know, I was made in The Town Mill in Alresford. 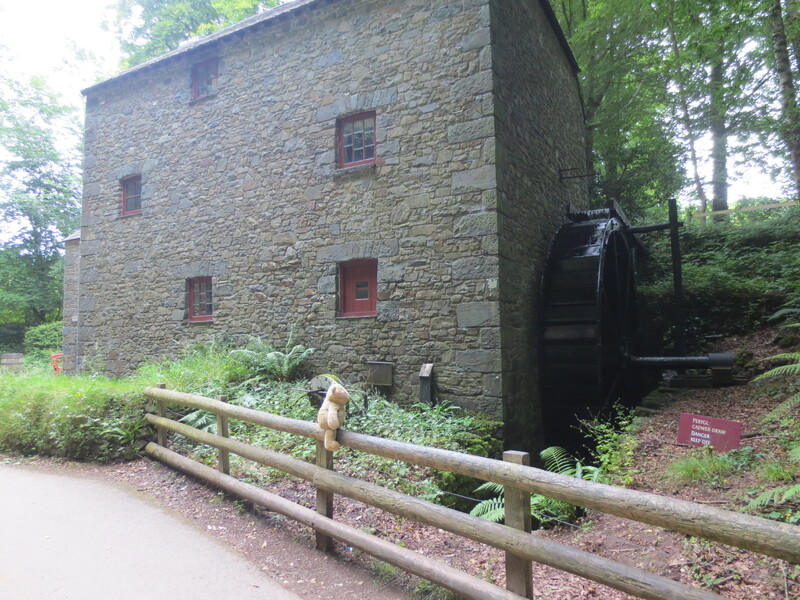 This mill was a bit odd really as the water was being pumped to it by electricity as there is no stream next to it. I guess that is a problem with moving building to different places to keep them. 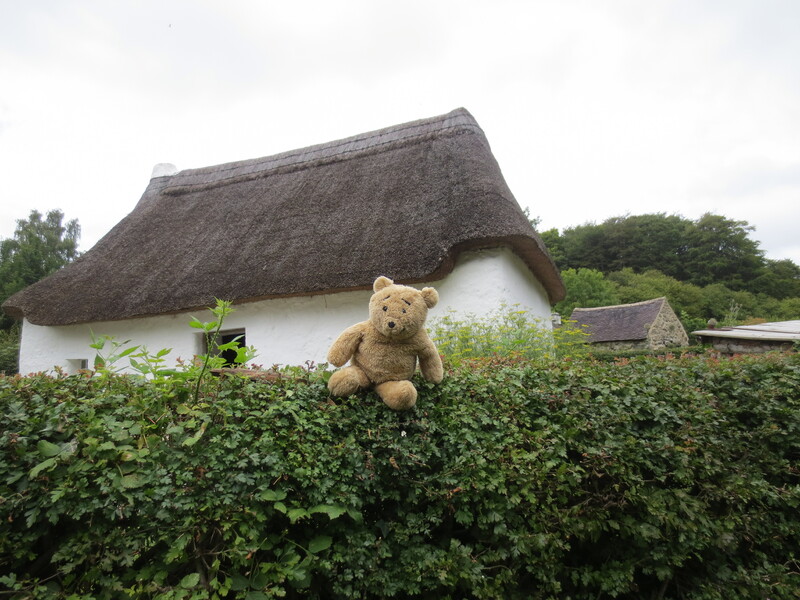 I was very taken with a couple of the thatched cottages…. 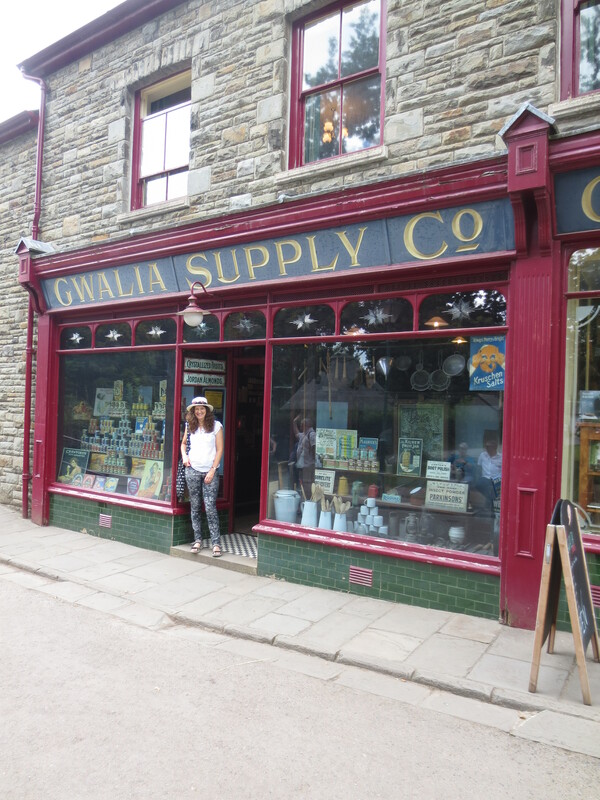 The most fascinating place was The Gwalia Stores, I took a photo of Karen outside, as she seemed to be very impressed too. It was like stepping back to 100 years ago.. 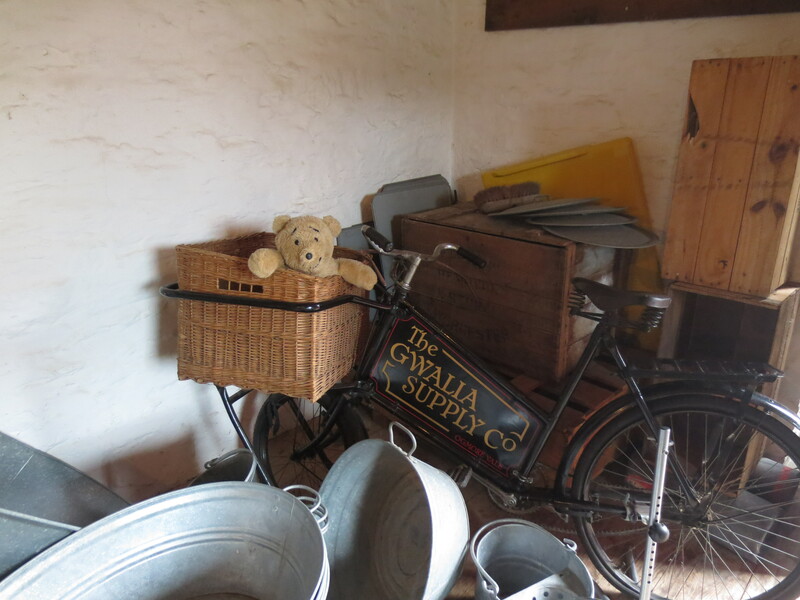 I liked the basket on the bike, room enough for Growler and all my Alresford bear friends in there too! 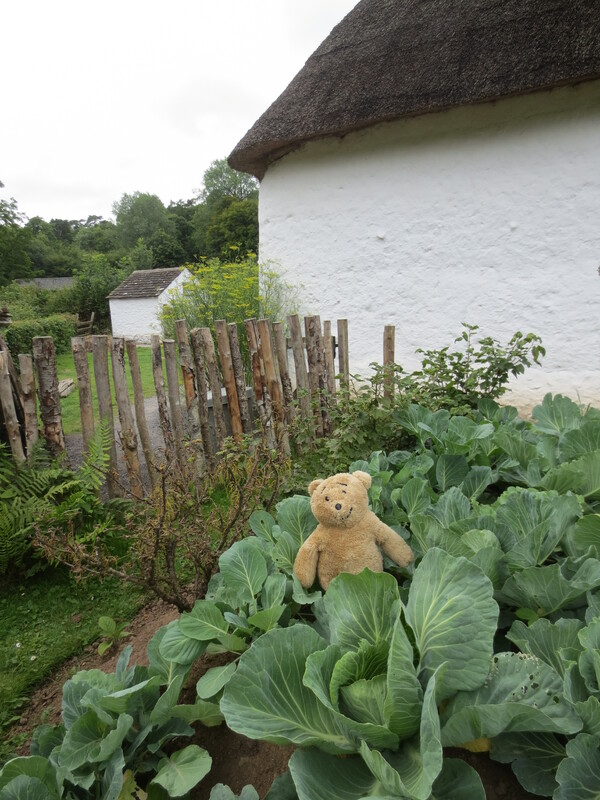 St Fagans is a very big place and unfortunately there wasn’t time for us to see everything, though I am happy to say Karen says that we will visit again to see the buildings that we missed. 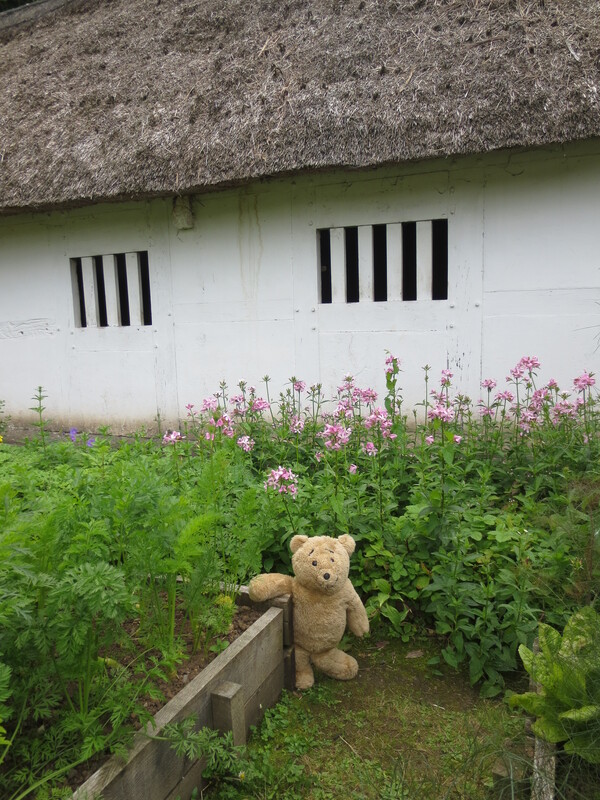 We did have time though to have a look at a very old pigsty.. 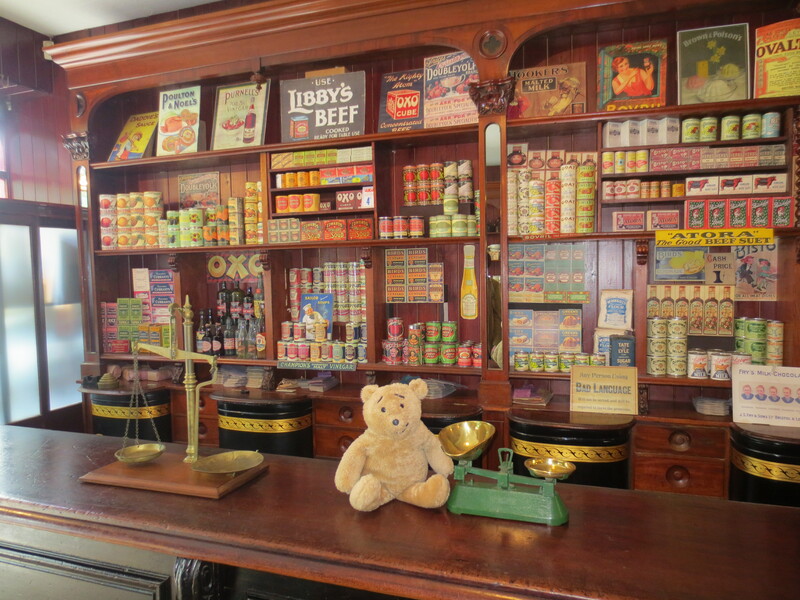 This entry was posted in Uncategorized and tagged Gwalia stores, St Fagans, Wales, Welsh History by karenlovestodance. Bookmark the permalink.